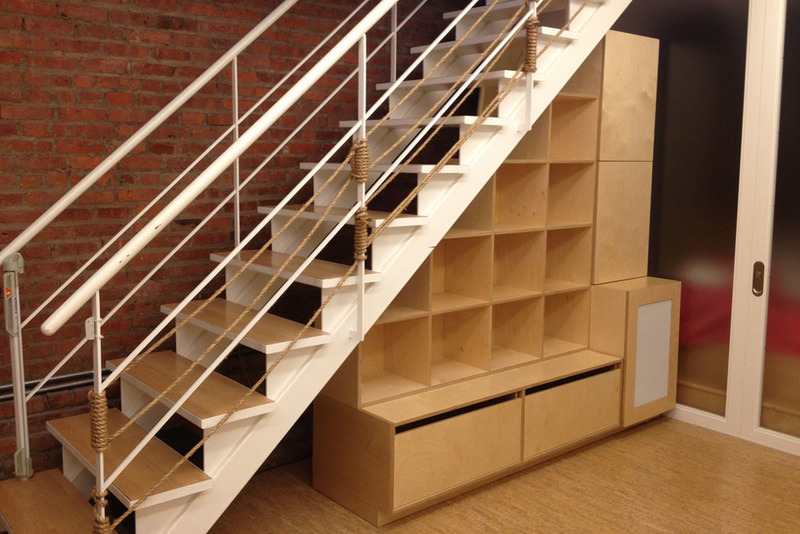 In this under-utilized space below a stairway, we installed a cubby and storage system. 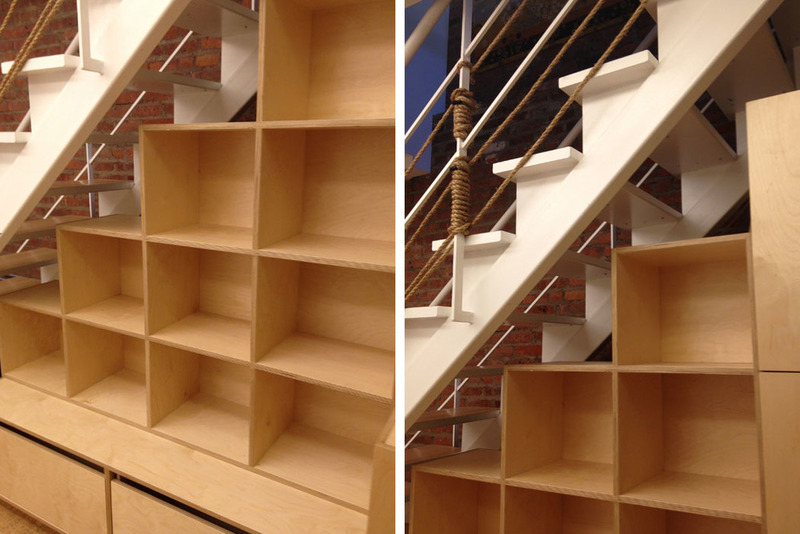 In this case, it's used for both children's toys and general storage. On the right hand side we included a cabinet with a grill to accommodate a dehumidifier. 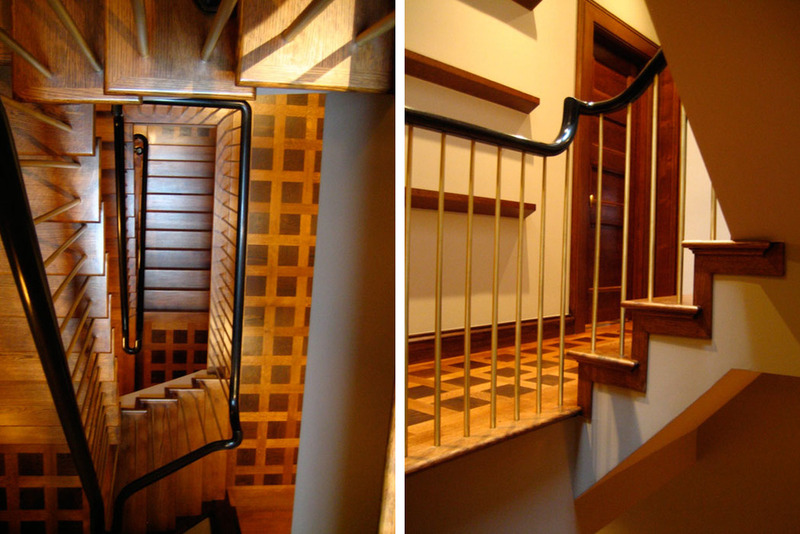 Throughout a townhouse located on Manhattan's Upper West Side, we installed a staircase that spans five flights. 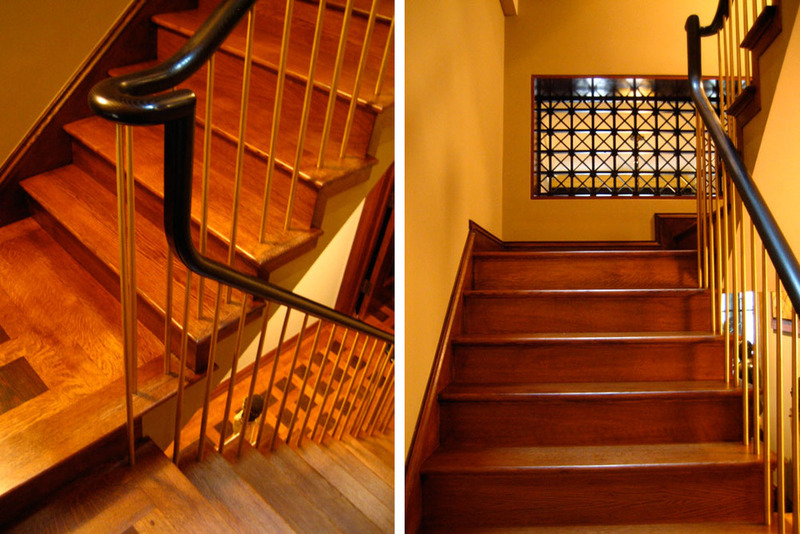 The steps are constructed of oak, the handrail in oak with a French polish and the spindles in brass.